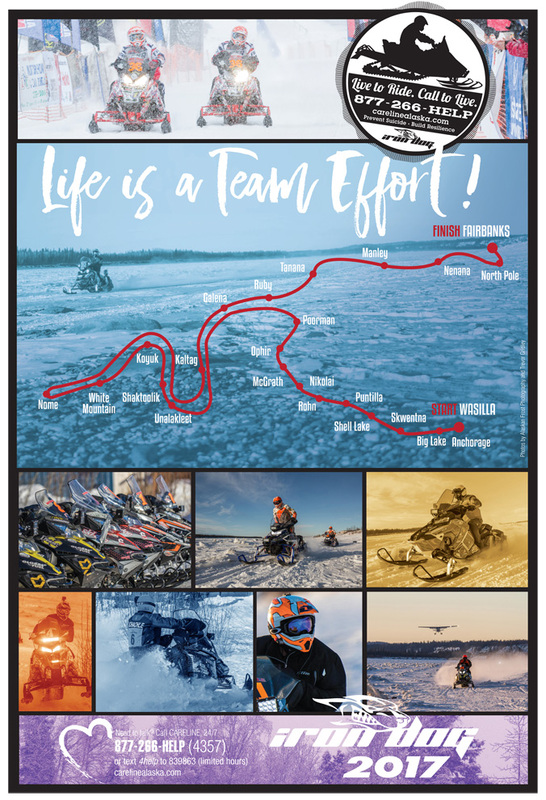 This year, Careline and the Iron Dog are celebrating teamwork and great partnerships with a poster that highlights the whole race. Careline began partnering with the Iron Dog to share the message, “Life is a team effort!” in 2010. Iron Dog racers ride in teams of two so they always have someone to watch their back on the trail, which — like life — can offer some smooth cruising but always has seriously challenging sections. Thanks to all the racers who have helped get the word out over the years that everyone has value and no one is alone: Careline is on your team. If you need help, you’re concerned someone else may be seriously depressed, or you just need to talk, you can call the team of Alaskans at Careline anytime. Like all good partners, they are trained, knowledgeable and supportive. 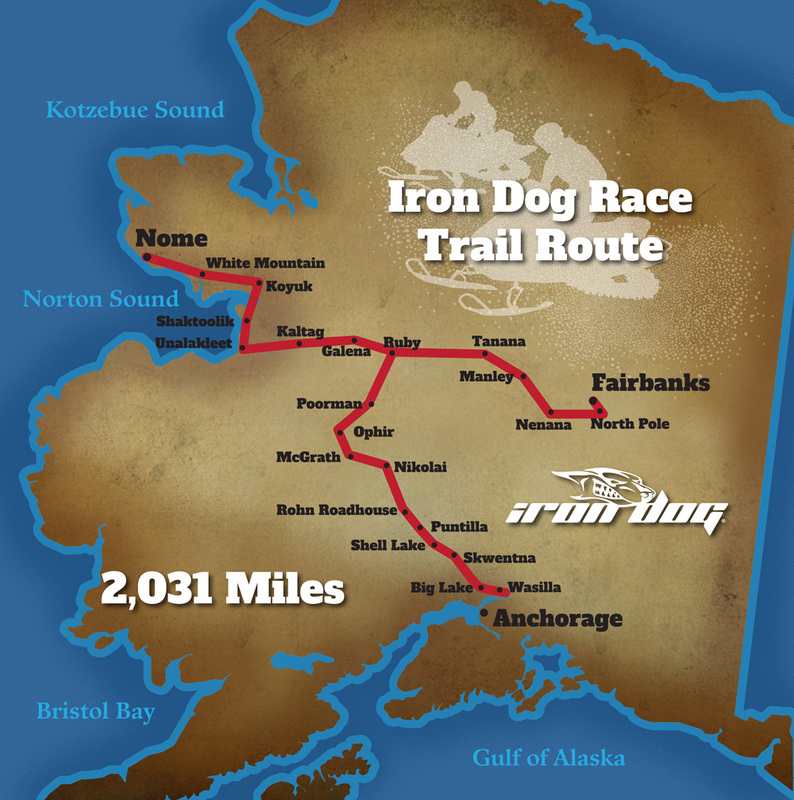 A special thanks to Kevin Kastner and his crew who organize the Iron Dog, and Cynthia Erickson, the mom in Tanana who had the idea to connect us all. And thanks, too, to all the communities that host racers and organizers. This is a great example of the events, from the Iron Dog to the Iditarod to music festivals and more, where Alaskans with common interests work together to create something bigger than each of us, bigger than the organizations and communities that are all key to making them happen. Life truly is a team effort, in tough times and fun times.